This new book, edited by two prominent Hungarian constitutional scholars, Zoltán Szente and Fruzsina Gárdos-Orosz examines how the most exigent social, economic and political challenges affect constitutional adjudication at both national and European levels. More precisely, the research question was whether the most recent global challenges, such as the world economic crisis, the new wave of international terrorism or mass migration have changed the well-embedded judicial constructions or, in general, the jurisprudence of constitutional and supranational courts. For this purpose, the constitutional adjudication of ten European countries (Croatia, France, Germany, Greece, Hungary, Italy, Poland, Portugal, Spain, and the United Kingdom) is discussed by distinguished national experts in the analytical framework presented by the editors. The selection of these countries was certainly not accidental ‒ they all have been deeply affected by these (and other) challenges. Nevertheless, they have different constitutional cultures and institutional settings, and they have had to face partly different challenges, or the same problems in different ways. In addition, the book explores the relevant case law of the Court of Justice of the European Union and the European Court of Human Rights. All these cases were analysed in the dimension of changeability/stability of constitutional jurisprudence, whose criteria were defined by the editors. The sixteen authors of the book examined not only whether the constitutional court had retained the old interpretative tools and judicial constructions, but they also sought to determine the causes of change or stability. As a result of this wide-ranging analysis, Szente and Gárdos-Orosz classify the examined countries into three categories according to the extent to which the relevant constitutional case law has changed. In their assessment they have found that the crisis-driven jurisprudence of the constitutional court changed to the greatest extent in France and Spain, as in these countries the constitutional tribunals had to face and resolve unaccustomed problems. In some other countries, including Italy or Portugal, constitutional adjudication shows signs of both continuity and change. 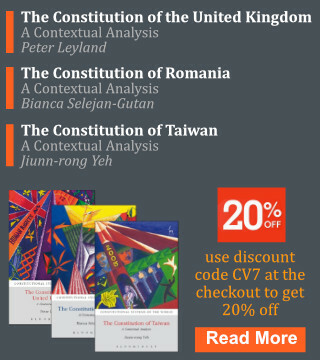 This means that, as the editors argue, “although in some areas the Constitutional Court has developed new doctrines in response to crises, in other respects it can be characterised by continuous practice preserving the validity of the earlier constructions and interpretive patterns”. Finally, there are some constitutional systems where the constitutional court has preferred stability and continuity in its crisis-related jurisprudence and the well-established methods of constitutional interpretation proved to be appropriate to handle the new challenges (in Germany, for example). Besides establishing these clusters, Szente and Gárdos-Orosz strongly argue that there are some national pathways where the deep changes in constitutional case law were caused not by global challenges, but by different reasons. Thus, in Hungary and Poland, the jurisprudential changes were not really motivated by the responses to the problems examined by the book, but “by the shift towards authoritarian governance that shocked the position of the constitutional courts”. As to the European scene, the related practice of the supranational courts cannot be grouped into the categories Szente and Gárdos-Orosz proposed for the national jurisdictions. Still, the identified judicial behavioural patterns are interesting contributions to the topic under review, and show how unpredictable the case law of these courts is. Szente and Gárdos-Orosz suggest that no “comprehensive theory can be developed that can give a general explanation for the different constitutional courts’ strategies and judicial behavioural patterns in relation to the pressures put on them, and which could reliably predict how the jurisprudence of the various constitutional courts will change in the future”. They rule out the existence of a strong correlation between certain common features of the constitutional systems under review or their challenges (as independent variables), and the nature of the constitutional replies given to such challenges by the constitutional courts (as dependent variables). They argue that constitutional and supranational courts are not static institutions and their functioning and achievement depend more on the social environment and the political context than it was earlier believed. This book is a serious contribution to the present-day academic literature on European constitutional adjudication and to the study of multilevel constitutionalism.